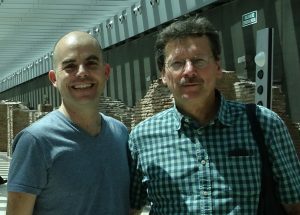 In November 2017, Professor Ralf Steinmetz visited the National University of La Plata (UNLP) in Argentina together with state secretary Mathias Samson as part of a delegation trip. Conversations about the international transfer of technology within the digital economy were the main focus of their stay in La Plata. Professor Alejandro Fernandez and Professor Ralf Steinmetz came up with an idea: Science for everybody in Darmstadt – at KOM. Citizens themselves would be able to become researchers through the mutually developed platform. Not only in a serious, but also in a playful way. It was in the late 1990s that scientists from the Technische Universität Darmstadt and the National University of La Plata (UNLP) were in talks about a possible cooperation for the first time. Centre of the discussion was the promotion of working together via computers. 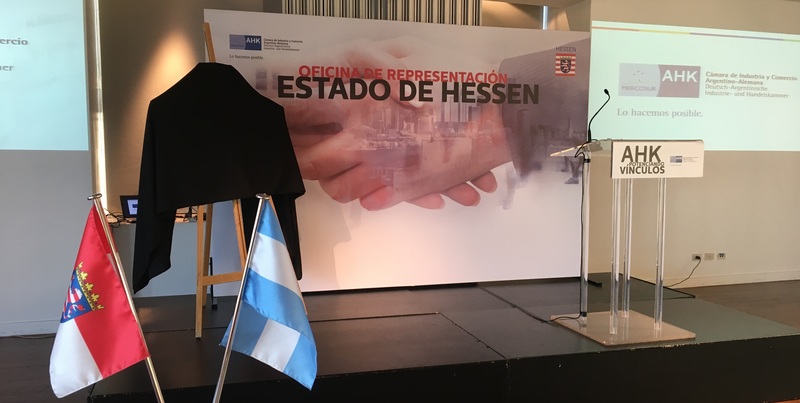 This initial plan was encouraged and supported by the argentinian and the german government and was the start of a long-standing and rather fruitful cooperation and friendship. In the following years german researchers visited the UNLP and argentinian researchers visited the TU Darmstadt. Researchers met other researchers and students in equal measure. They learned from each other in their respective fields and generated new knowledge which has been published. In the years to follow, two argentinian students came to Darmstadt in order to obtain a doctorate and german scientists became members of academic committees for master and postgraduate programs which where established at the UNLP. One was staying with friends. In the beginning years there was neither Dropbox, nor Skype or Google Docs. Just a handful of tools were capable to overcome the challenges and enable the possibilities of a global online-cooperation. Nevertheless, these tools always relied on face-to-face interaction. 20 years later, the largest part of KOM and UNLP working together via the internet has become a daily life – just like writing this article in an online document. Visibly excited, Ralf Steinmetz says: „During the official talks in La Plata, a rather cool idea came to be in an unexpected way together with Alejandro Fernandez. Namely to consider a combination of crowdsourcing and gaming approaches in order to enable citizens to be of assistance in the solution of scientific problems.“ After all, online cooperation has always been a major topic for the work-relationship between the TU Darmstadt and the UNLP. In addition, Serious Games have a steady position in KOM‘s research. Serious Games are games, supported by computer technology, which, in addition to entertainment purposes, also contain elements of learning and resolving tasks. So why not combine intelligently: platforms for citizen science with a playful aspect. Citizen Science is the big keyword here. The idea of an open science is the central idea. Citizens are able to participate in research projects in diverse ways: they classify galaxies, bee populations or document different types of birds in certain areas. These are problems which algorithms or the researchers‘ manpower often cannot handle on their own. That way citizens become researchers themselves. Especially digital technologies enable new knowledge to be generated around the globe while still falling back on local resources. The creation of such a platform, combined with the playful approach of Serious Games, is the goal of an idea born during the delegation trip.